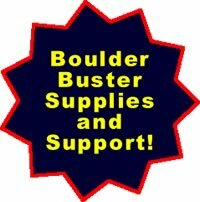 May's Trail Equipment is your headquarters for Boulder Buster Sales, Service and Supplies. Boulder Buster page and video. Welcome to the web site dedicated to tools and equipment for trail building, development and maintenance in State, National and Municipal Park areas. We're your Cobra Combi, Mk1 and Pionjar Parts Source. May’s Trail Equipment has been in business and involved with the building of trails for over 25 years. 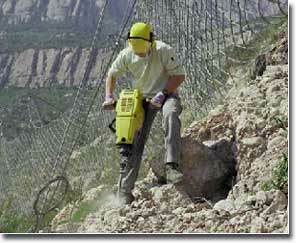 We are your best source for power tools and track equipment for trail building.